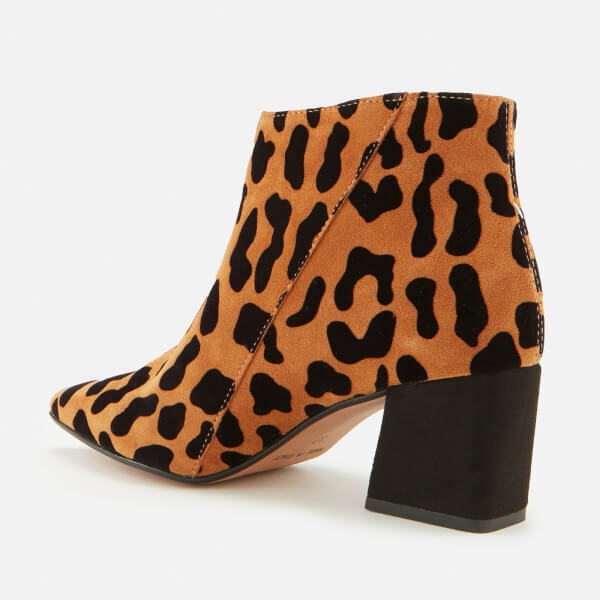 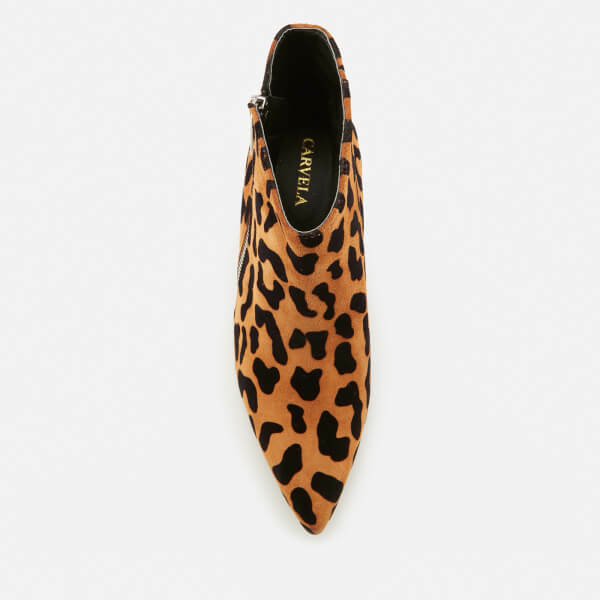 Leopard print ankle boots from Carvela. 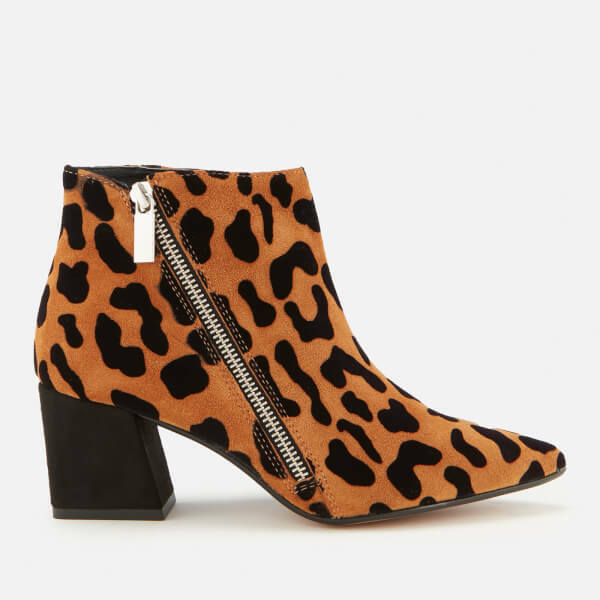 Crafted from smooth suede with a pointed toe, the 'Signet' boots feature an asymmetrical zip fastening to the outside foot and a slanted, leather-wrapped block heel. 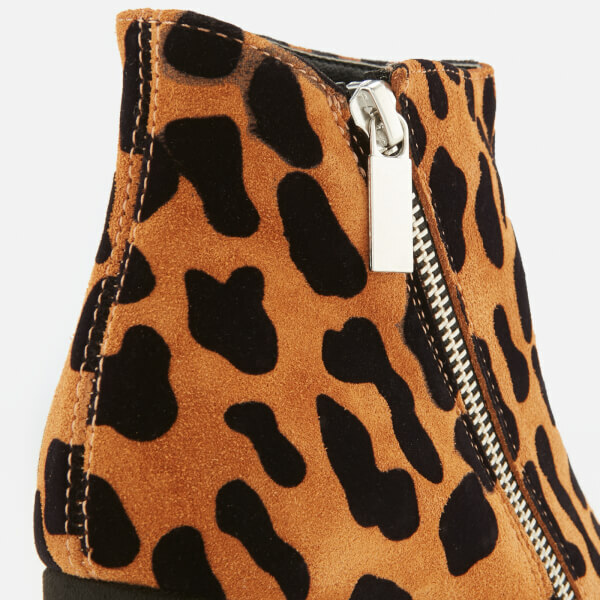 Silver tone hardware.